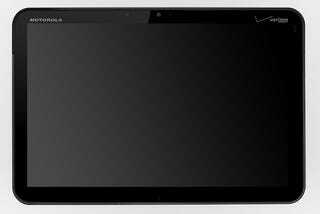 The Moto Xoom tablet is like the tablet equivalent of Motorola's Atrix Android phone, with the dual-core 1GHz processor, 2-megapixel front camera, 5-megapixel rear camera and 1280x800 display. But it actually runs Android designed for tablets. Not sucky! Motorola&apos;s Atrix Android Phone: Twin CPU Cores And a Laptop Dock! There is also an HDMI output, 1080p HD video support, 720p video shooting, gyroscope, barometer, e-compass, accelerometer. It will be available in Q1 as just a 3G/Wi-fi device, but Q2 as a 4G LTE/Wi-Fi version. And they say you can upgrade the Q1 version to LTE. Oh and there's Flash support.